It is now yesterday’s news but something I have been meaning to address…and so now I am. My blog post is 4000+ words dedicated solely to pointing out how misleading the film is. Ms. Haughney read it. Two months went by and finally the piece came out: Home-Birth Film by Ricki Lake Prepares for Redelivery, Worldwide. Now...let’s be clear, I’m incredibly grateful that I was given the opportunity to speak with a reporter for the NY Times. I am grateful for the time the reporter gave time to me to hear me out. I am grateful that majority of what was written about me was true. I am disappointed that my criticism of the film was greatly edited down… well, it was basically edited out completely. But I am downright angry that I come off as a supporter of that dangerous film. There was a story to tell. But unfortunately that story turned into the same ol’ puff piece for The Business of Being Born. Here I was, holding out hope that a mainstream media outlet was going to cover this film and really shed light on how chock-full of misinformation it is…only to be let down. Oh New York Times…you broke my little misinformation-loathing heart. 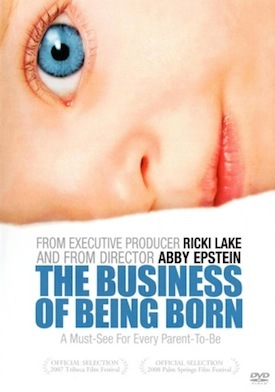 I, Danielle Repp, think the film The Business of Being Born is a dangerous piece of propaganda full of misinformation. I do not think it helps anyone make informed decisions but instead, it adds to the heaping pile of nonsense that makes women feel bad about themselves for not giving birth a certain way. It is fear-mongering to the extreme and promotes home birth without touching on any of the many issues within our home birth system in the USA. Many women walk away fearing hospitals, when in reality they should be fearing home birth midwives and home birth advocates who make money by exploiting fears...Ricki Lake being a prime example.